It’s the new year, and loads of people are talking about detoxing and I’m wading in at last, but in a slightly different fashion. Let me explain…. This track gives me goosebumps, but the jubilation, the dancing and the scene all reminds me of what a great time it was for me. My friends from those days have been commenting with equal jubilance and we’ve been reminiscing and getting nostaligic in very biased fashion about how much greater things were in our day, just like every generation tends to think about the halcyon days of their youth! However, one thing really struck me…. In the clip, you’ll see that with the exception of the guy filming it, there are no cameras, no phones, no multimedia, no people going ‘live’ on Facebook and so on…. The comments on Facebook and YouTube all pick up on this. It’s just people getting into the moment, loving the music, sharing the experience with each other there and then, not concerned about recording that moment in any other way than how the memory is being formed inside their heads. So I know enough about the formation and recollection of memories to know that we filter and colour our memories; we reconstruct them and so we are open to bias, but when you compare much of the public behaviour in social settings these days, people seem incredibly keen to document and record things before they consider actually enjoying and engaging. Go to a club or a live music venue these days and you’ll see the masses of phones and cameras constantly held aloft recording the event for posterity. We live in a world full of connectivity, internet, social media and devices linking us to the world. According to this article at the BBC, research suggests that here in the UK, adults spend an average of 8 hours 41 minutes a day on a screen of some sort which is typically more time than we spend sleeping. This article adds that the average person tends to log 1.72 hours a day just on social media. In fact, a recent (2016) study suggests that we tinker and interact with our devices 2,617 times each day. If we are honest we’ve probably all experienced the above sentiments at some point, if not on a regular basis. So how can we keep these habits and tendencies at bay and under control in our ‘always on’ world? Ofcom recently carried out a survey and found out that over a third of Britons tried to take a digital detox in 2016. 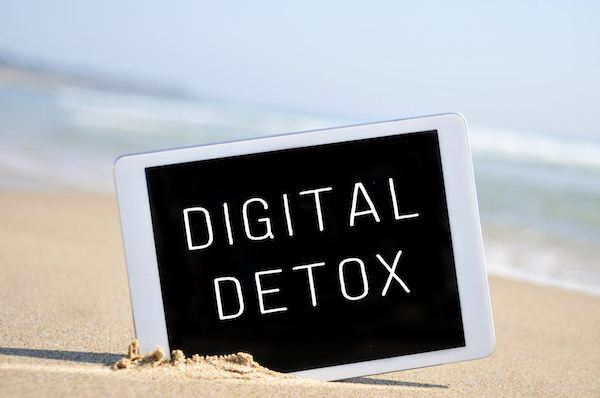 What’s more, this concept of taking a break from using our internet-connected devices is now so well understood that the term ‘digital detox’ was recently added to the Oxford English Dictionary! 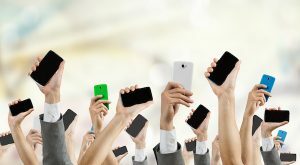 So it seems that it’s not just me in my capacity of being an old school raver pining after the old ways….. And it is clearly not just people in tech industries who suffer with the issue of being constantly glued to their phones and other devices. I’ve got to admit, I do love technology, heck, masses of my business is conducted online in some way and we have a busy social media output, so I don’t want rid of it all, I just think that on occasion, I want to feel focused on real-life human interaction and feel purged of so much news, politics, world crisis, complaints of others and the endless stream of nattering, chattering and general media consumption for a wee while. – Research has demonstrated a strong link between heavy internet use and depression. Heavy internet users five times more likely to suffer from depression than not-so–heavy users. – Research conducted by the National Institute of Mental Health discovered a significantly strong association between social media use and depression. – Researchers have also discovered a connection between heavy Facebook use and depressive symptoms (including a decrease in self-esteem). – One study has demonstrated that anxiety increases in line with mobile phone useage. – A fairly recent study has also gone on to support this and it links too much smartphone use with higher incidences of anxiety and depression. You know what? There is even Neuroimaging research that has shown that excessive screen time actually damages the brain!! Research suggests that staying off all social media for just one day will increase happiness. Well, what more motivation do you need? We all need a digital detox on occasion then, it would seem. With all that in mind, here are some steps you could take if you’re keen to have a period of time using less tech and to start improving your mental health in particular. In a lot of ways, having round-the-clock access to emails has made life much easier for professional people and business owners such as myself, but not when it comes to switching off and winding down. However, if you plan well enough in advance and work together with your colleagues and within your business, and actively choose to step away and to be free from your smartphone completely at least one day of the weekend (for example). This is a realistic goal that’s easier than you might imagine and a goal well worth aiming for. Eventually, you might even be able to have two days or a few weekends a month to yourself and remember that a digital detox isn’t supposed to be a once-a-year process; the ultimate aim is to work it into your routine schedule as a matter of course. If you read the newsletters or books of Tim Ferris, for example, one of the most productive people on the planet, he spends very minimal time dealing with emails, for example. When you are planning a digital detox it is important to figure out what you’re going to do with your time while you’re not glued to your smartphone. You can schedule a variety of activities for these moments. This is where you get to be fully alive! Go places, see the world, spend time with friends, family and so on. For example, something as simple as watching a great film at your local cinema and aiming to really switch off, and get away from your small screen obsession can be a great exercise. In fact, the cinema is great for a “mini-break” if you just can’t bear a whole weekend being disconnected. The key is to plan ahead so you have things to look forward to. Keeping yourself busy offsets the temptation of picking up the phone, checking emails, checking Facebook and being drawn in to that digital ether….. Going cold turkey, and having nothing planned is not advisable when you’re going for a detox – I recommend that you plan it diligently. Decide when you are going to unplug fully and then plan activities and then go live life fully and engage your senses, connecting with the real world. What’s great about giving yourself a digital detox is that it opens up lots of great opportunities to de-stress and to pursue the kind of activities that help you relax. Anywhere outdoors, maybe in nature can be particularly relaxing and being active or not when you’re away from your devices, can actually be a great time to think clearly and pull together ideas that might help you figure out problems in your personal or professional life. There is something about just letting your mind relax in different surroundings that so often gets those creative juices flowing. So many of us are used to slaving away in front of our computers, pushing ourselves to get more work done and be more efficient. However, a Stanford University study found that creative output increased by an average of 60% in people who took regular walks. In fact, the more fun we have, the more we move, the more we get out in nature and away from our devices, the more productive we become and the healthier we are. This is something everyone and anyone should do right away. Establish zones in your life where your phones are not permitted! 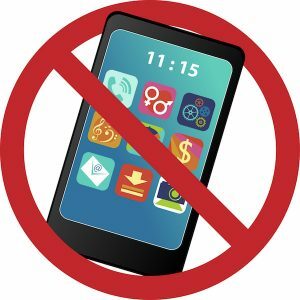 The dinner table, for example, should always be a phone free zone if you are planning a digital detox. This can be the best time to connect with your family and find out what’s been going on for them during the day. It’s important to be present in these kinds of conversations, and you can’t if you are always checking your phone. The other area to make sure is a phone free zone is the bedroom. 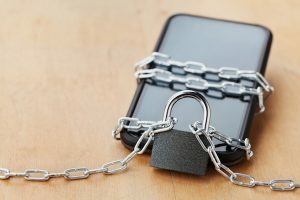 You can use your phone as an alarm if you have to but even better is that when you are on a digital detox your phone goes on-charge downstairs when you are in bed. Over the last 10 years, technology has completely changed the way we live and there’s no doubt that the ‘always on’ world is here to stay. But while technology is a great enabler, it is worth trying to strike whatever balance you feel is right for you, when it comes to using modern devices. Too much screen time, especially before bed disrupts our circadian rhythms, affecting our hormones, our sleep, and our energy. This artificial light coming from our screens delays melatonin secretion; that inadequate sleep can quickly sabotage our efforts at getting healthy and losing weight. Sleep is a major cornerstone for an energetic, joyful and healthy life. One problem that’s been proven is that not getting enough sleep or getting poor-quality sleep adversely affects the hormones that make you hungry and store fat. One study found that just one partial night’s sleep could create insulin resistance. Other studies show that poor sleep contributes to cardiovascular disease, mood disorders, poor immune function and lower life expectancy. So, banish your phone from your bedroom or at least switch it to airplane mode. The key to getting the healthy balance you want is to change your habits, and a digital detox can help highlight exactly where you might want to make changes. After all, while communicating with other people online is important and useful in all manner of ways, it’s also important to look after ourselves, connect with people and put time into relationships in the real world. 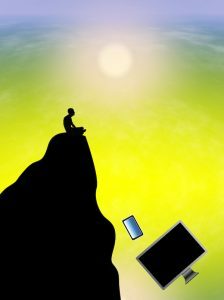 Make a digital detox, a regular healthy habit – I think you’ll be very pleased you did so, and I know you’ll be mentally healthier as a result. 3. 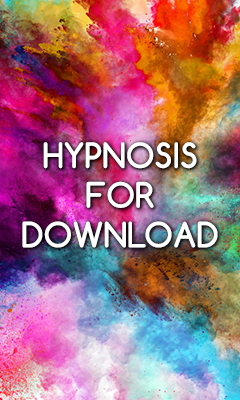 Are you a hypnotherapist looking to fulfil your ambitions or advance your career? Likewise, if you’d like to learn more about self-hypnosis, understand the evidence based principles of it from a scientific perspective and learn how to apply it to many areas of your life while having fun and in a safe environment and have the opportunity to test everything you learn, then come and join me for my one day seminar which does all that and more, have a read here: The Science of Self-Hypnosis Seminar.